I come today in front of you, in my double capacity: as an expert accountant and as a member of the Commission on Budget, Finances and Banks, Romanian Chamber of Deputies. On the occasion of the 22nd Edition of the Congress of the Romanian Accounting Profession, I have the pleasure and the honor to wish great success to all the professional accountants of Romania in the noble activity that you lead, in a volatile regulatory environment caused by the process of digitalization and in a business world in constant evolution. The process of digitalization is one of the most visible phenomena with an extremely fast evolution. Through the adoption of digital technologies, especially the increasing widespread use of technology to store and process information, search and retrieval of information among online users, digitalization is a profound phenomenon with strong implications in all areas of the economy. 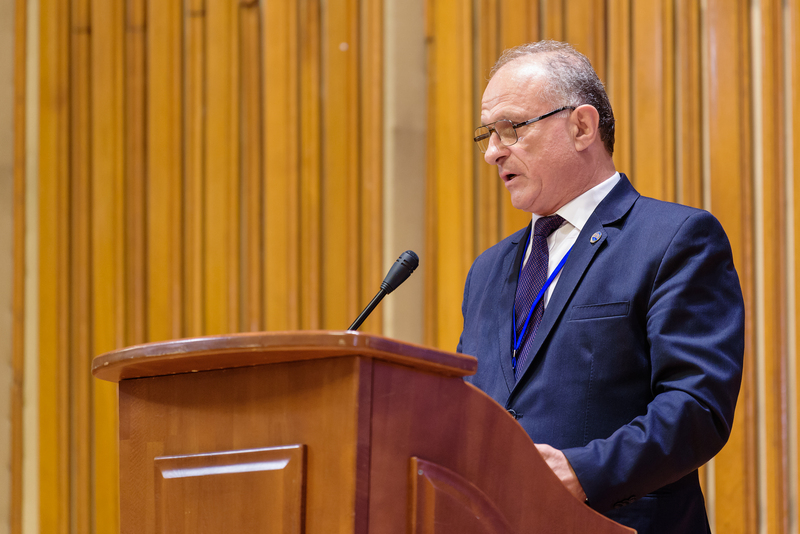 Today, I wish to thank to all CECCAR’s leaders, to President Robert Aurelian Sova, PhD, for his contribution to the improvement of regulation and tax accounting in the Commission for Budget, Finance and Banking of the Chamber of Deputies. Though the Commission for Budget, Finance and Banking has supported and will continue to support the work of CECCAR by debating and approving regulations in this area. Our wish is that CECCAR will continue being one of the Commission’s main partners in improving the fiscal-accounting framework. On my own behalf and on behalf of the Commission for Budget, Finance and Banking of the Chamber of Deputies, I wish great success to the Congress of the Romanian Accounting Profession of Romania and professional achievements of all professional accountants in Romania.